Priced below KBB Fair Purchase Price! 26/31 City/Highway MPG At Starling Chevrolet Cadillac, you always get more for less! 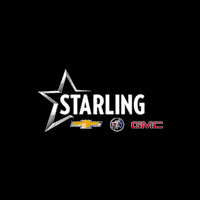 Visit our website www.starlingchevycadillac.com or contact us at 386-734-2661. $1,111 - Exp. 04/30/2019 Conquest Private Offer. $3,335 - Exp. 04/30/2019. When financed through GM Financial.